Friday, June 08, 2018 by: Isabelle Z. (Natural News) There are plenty of heartbreaking stories about chemotherapy failing, but once in a while, that failure can actually have a happy ending. That’s what happened to 52-year-old Judy Perkins, who found herself a few months from death as breast cancer spread throughout her body. She had a mastectomy and had her lymph nodes taken out when she was first diagnosed, but a decade later, her cancer had returned with a vengeance in the form of a stage 4 lump. Chemotherapy and hormonal therapy both failed to have an impact, and the cancer spread to her liver and chest. With three months left to live, she says she was grateful for the life she’d enjoyed but wanted to try an experimental treatment for the sake of her family. The treatment is pioneered by the National Institutes of Health’s Dr. Steven Rosenberg. 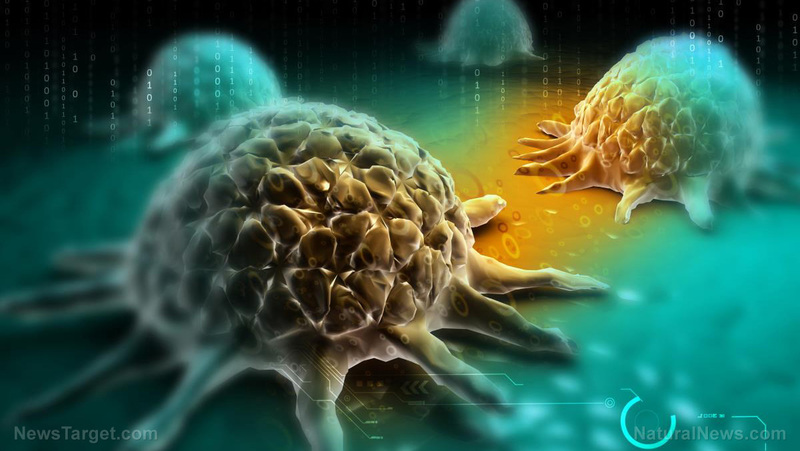 It involves finding the few immune cells in a patient’s body that can see the genetic mutations in cells that trigger cancer and turning them into “cancer killers”. Within ten days, Perkins could actually feel the difference. She had one large tumor in her chest that she could touch, and she started to feel it getting softer and smaller. Two and a half years later, Perkins is cancer-free and Dr. Rosenberg believes her cells are still working to keep that cancer at bay. The odds aren’t great, but it’s something that could set the stage for a paradigm shift in cancer treatment. Dr. Rosenberg says it’s time for oncologists to acknowledge that cancer is unique to each patient and that their treatments must also be unique to their specific case and body. Essentially, a new drug needs to be developed for every patient. Perkins is now thriving. She just wrapped up a 1,200-mile kayaking journey around Florida and went rafting down the Grand Canyon. Not only did the therapy save her life, but she’s got the energy and good health needed to enjoy it. There’s a lot that Dr. Rosenberg and his team can learn from Perkins’ results. If researchers can find a way to improve the treatment’s success rate, countless lives could potentially be saved. Read more news about medical breakthroughs at Cancer.news. Next : Are CVS pharmacies illegally sharing your medication secrets with others?